The GSG-9 Brocken Labor is a West German Labor built by Schaft Enterprises Europe. It is a heavily armored Commando Military Labor. It appears in the anime Mobile Police Patlabor. There are two color versions of the Brocken Labor. 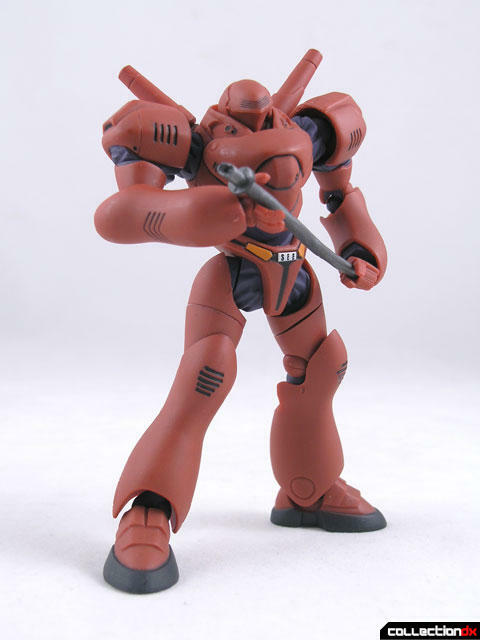 The red version appears in the OVA while the blue version appears in the TV series. I received both Brocken Labors from HobbyLink Japan. The red Brocken is technically a Revoltech Friend Shop exclusive, but for some reason HLJ is carrying it. I’m not complaining, the more Patlabor mecha the better. 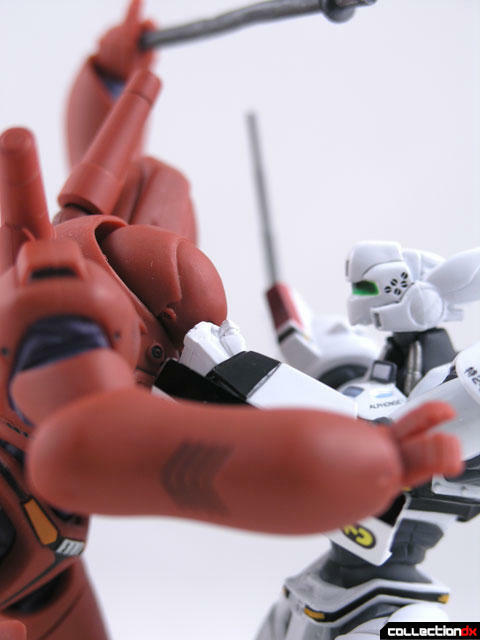 The Brocken Labor is bigger and tougher than the Ingram, the main mecha in Patlabor, and this is reflected in the design of the Revoltech toy. It is only because of ace pilot Noa Izumi’s skill that the Brocken labor is able to be defeated. 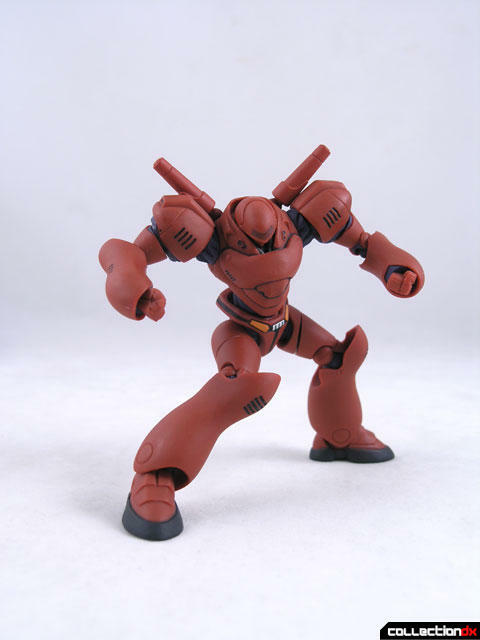 The Revoltech release of the Brocken has over 40 points of articulation and comes with a minimal amount of accessories. The design of this hulking beast is really impressive. 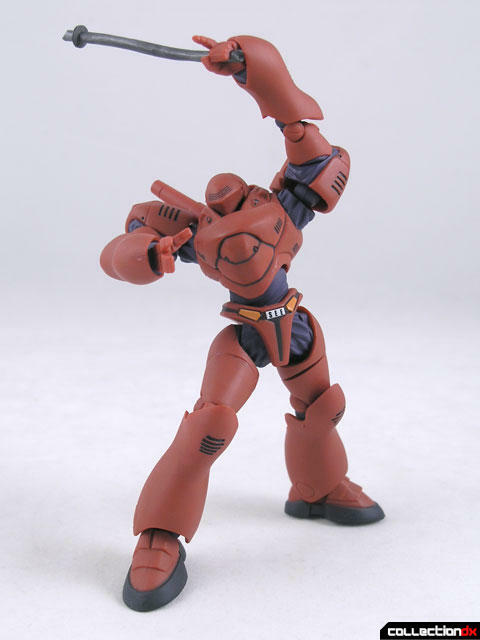 The bulky torso allows minimal movement for the head. On the back there are two poseable antennae that can be placed in various positions. I really enjoy the look of this figure from the back – the large circular vents are a nice touch. 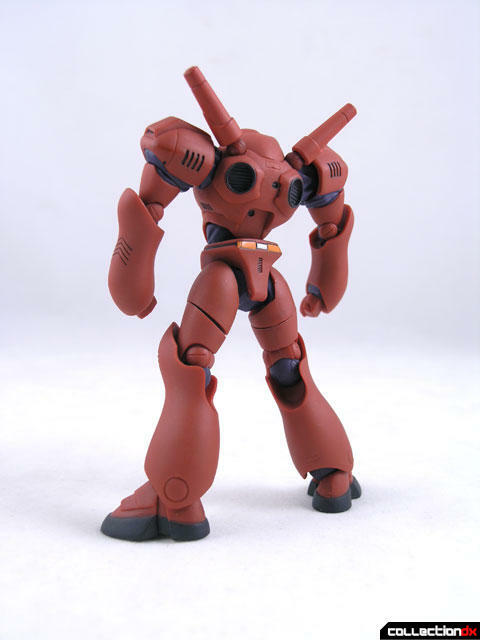 As opposed to the helldiver, the Brocken is a rather simple figure. Weapons are limited to an iron pipe, used to smash other labors into smithereens. I had some issues with the swivel joint on the upper thigh becoming loose easily, but it was rectified by just pushing the leg up firmly. Grace, Power, Style, and Beauty – the Brocken labor almost has it all. I just think they could have done a little more with accessories, maybe include an extra part from another labor or something. You can get either version of the Brocken Labor at HobbyLink Japan. 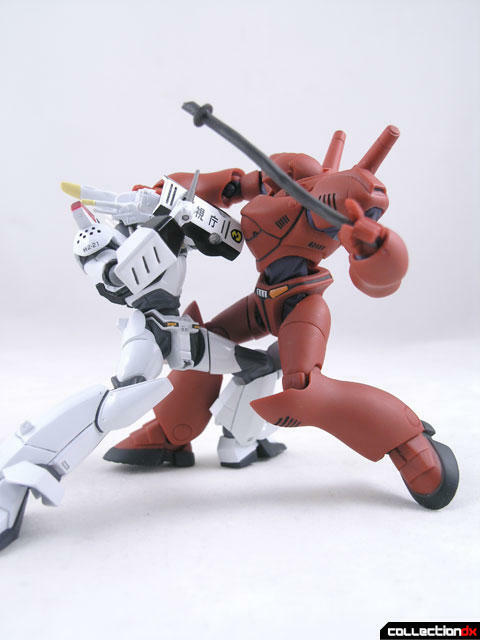 I really hope they decide to continue with the Patlabor license. There were many great designs in the show that really don't have anything like them elsewhere. The Phantom, Saturn, Economy and several others would be great for the line. The Broken doesn't have any weapons because it was a prototype being illegally transported when it got stolen by terrorists. It is essentially the basis for an armored infantry, much like the Ingram uses scaled up weapons instead of mounted armament, so does the Brocken. It just didn't have any so a pipe sufficed. It's cool the "limited" version is readily available, but what about that exclusive blue Soltic release from way back. It actually had different parts and is now impossible to get for any kind of reality-based price. I want a reissue, and more Dougram too!